A little more than a month into this air quality discussion and noticeably lacking has been power generation. In this regard, change starts today. And what better place is there to begin than in my own home? I can think of none. 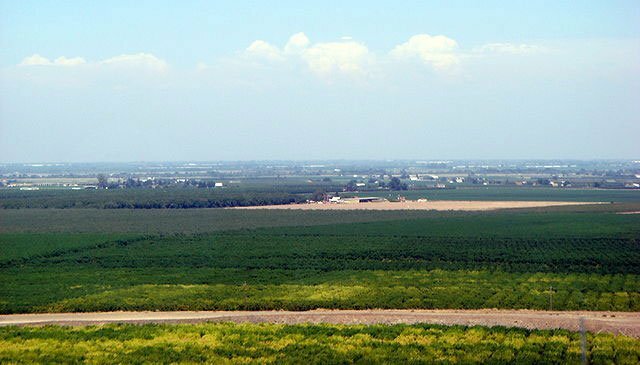 It is helpful to understand the geography and meteorology of California’s San Joaquin Valley; the place I call home. The Valley is bordered by several mountain ranges – the Sierra Nevada to the east, the Tejon and Tehachapi to the south and the Pacific Coast Range to the west. The wind, when there is one, usually blows from northwest to southeast. Beginning late October, early November, hot, dry weather gives way to cold, damp climes. As the season heads toward winter, fog typically blankets the Valley on many days and nights. It is either that or extremely cold weather accompanied by fierce winds or there is rain. Very rarely does snow ever reach the Valley floor. And some winters are rainier than others. As spring approaches, temperatures warm but fog still remains an issue and can last until late March. Spring is marked by more rain and then by late spring, conditions start getting hotter and drier. When I got up this morning, the temperature in the house was a cool 58 degrees (Fahrenheit). Typically, I do not use the heater which would explain the low temperature. To compensate, I wear extra layers of clothing and use multiple blankets on the bed. While I don’t expect everyone to adhere to the same practice, I’m okay with this. Some argue that by using their fireplaces they can heat the home and save money. Unless that fireplace is a super-efficient burner, I beg to differ. Furthermore, fireplace wood burning is only allowed when the outside air is relatively free of impurities, so there are restrictions in terms of when fireplaces can be used. I also try to conserve energy by not leaving lights on unnecessarily. For me, the biggest energy consumption devices are the ones that generate heat such as heaters, stoves, ovens, dryers, toasters and irons. Other big energy consumers are refrigerators, air cooling systems, home entertainment systems, washing machines, etc. Using high-efficiency appliances can help lower energy bills and also using such during times of low energy demand can result in the same. When summer comes around, the air cooling system sees much use, but if the inside temperature doesn’t get above 86 degrees, the cooling system stays off for the most part. Fans are used to supplement or supplant the use of summer indoor automatic air conditioning. Also during the warmer months, after clothes are washed they are air-dried by being hung on racks indoors. By my making a little extra effort to try to conserve energy and thus save money, I’m also not relying on the utility company as much for electricity and natural gas supply and this savings is reflected in my monthly utility statement. Perhaps the biggest reward comes in knowing I’m helping the environment by keeping my carbon footprint small, relatively speaking, of course.